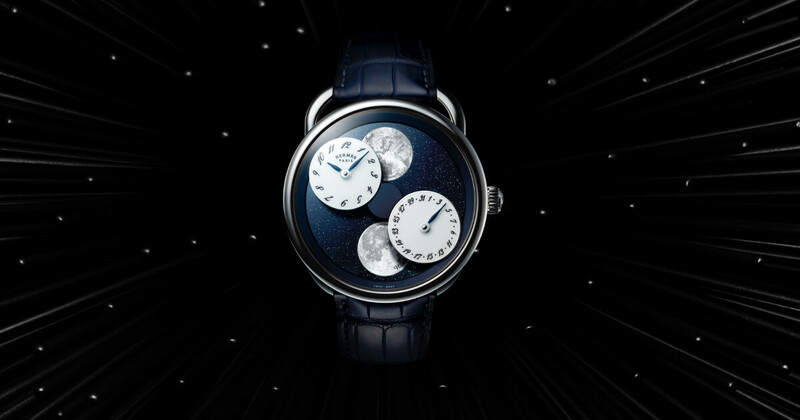 An offbeat expression of a classic horological complication, the Arceau L’heure de la lune watch offers an original interpretation of Hermès watchmaking expertise. Framed by a white gold case, the mechanics adopt a light, barely-there role. Meteorite or aventurine inlaid with mother-of-pearl form a cosmos in which satellite dials float above hemispherical moons. The horse, representing the origins of Hermès, gallops elegantly into the world of dreams. 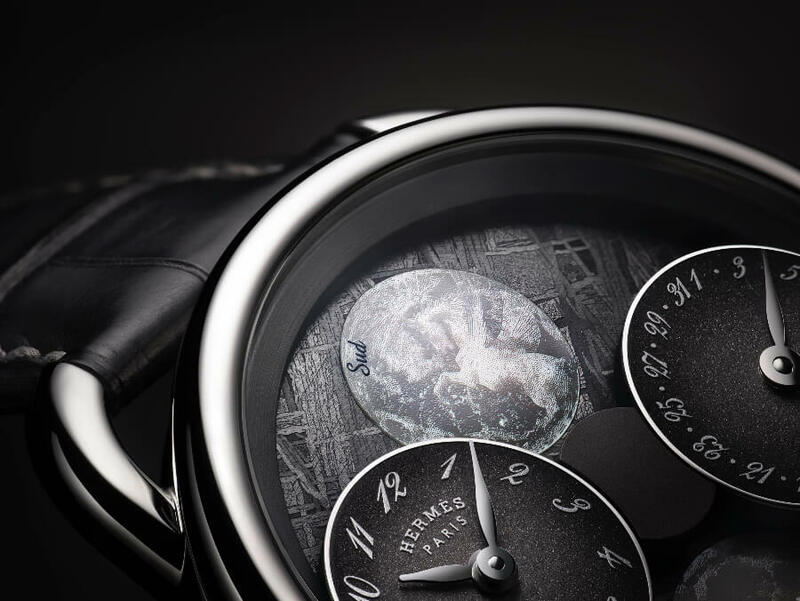 At 12 o’clock, the moon is adorned by a Pegasus created by the “dreamer- designer” Dimitri Rybaltchenko. Entitled Pleine Lune (Full Moon), this portrayal of the winged horse hints at a passage between two worlds, where magic and reality merge. 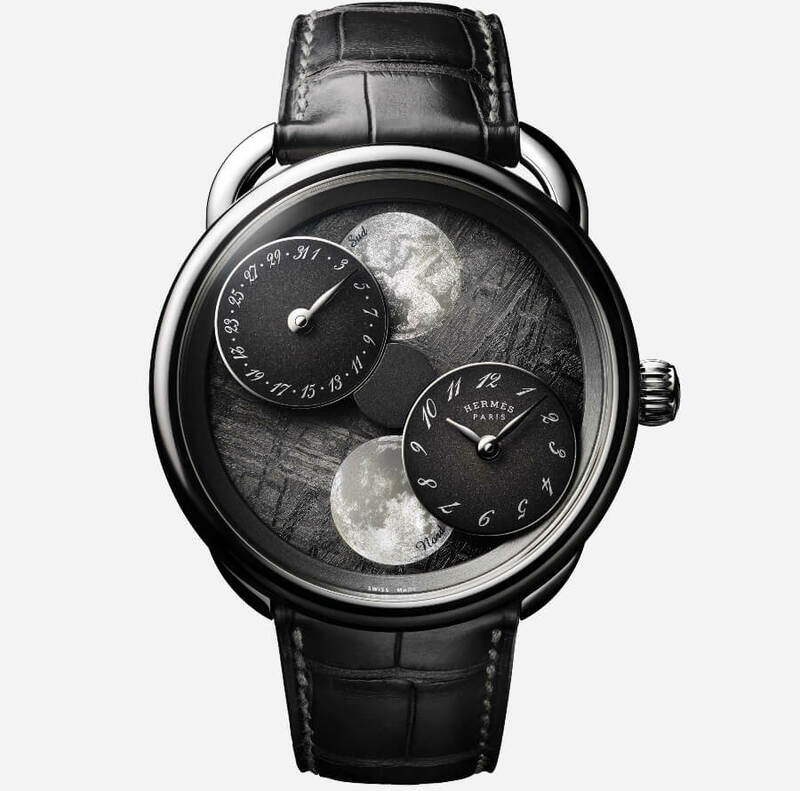 On the other side, at 6 o’clock, the view of the moon from the northern hemisphere provides a realistic depiction of its surface. 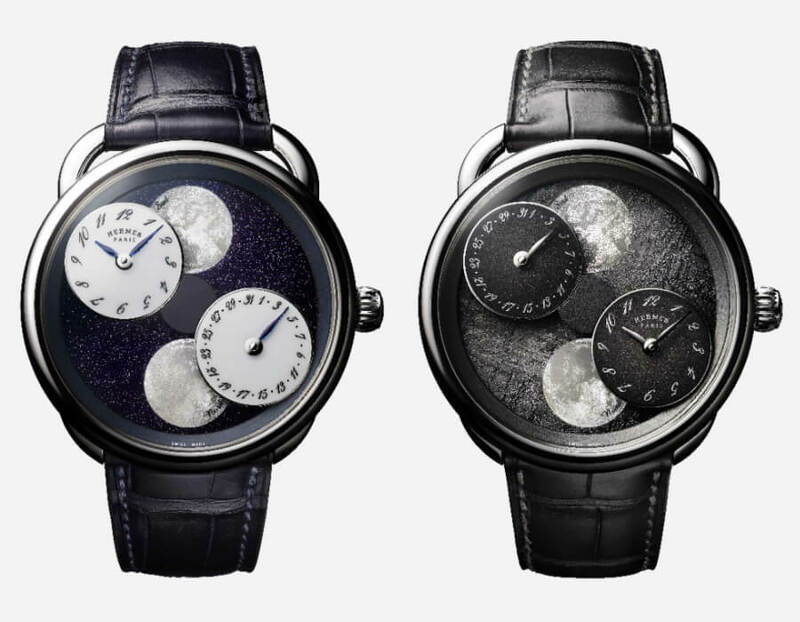 The mother-of-pearl moons set into the stone display the lunar cycles in the northern and southern hemispheres. This mysterious game of hide-and-seek reveals nothing of its technical complexity, so as to give pride of place to dreams. 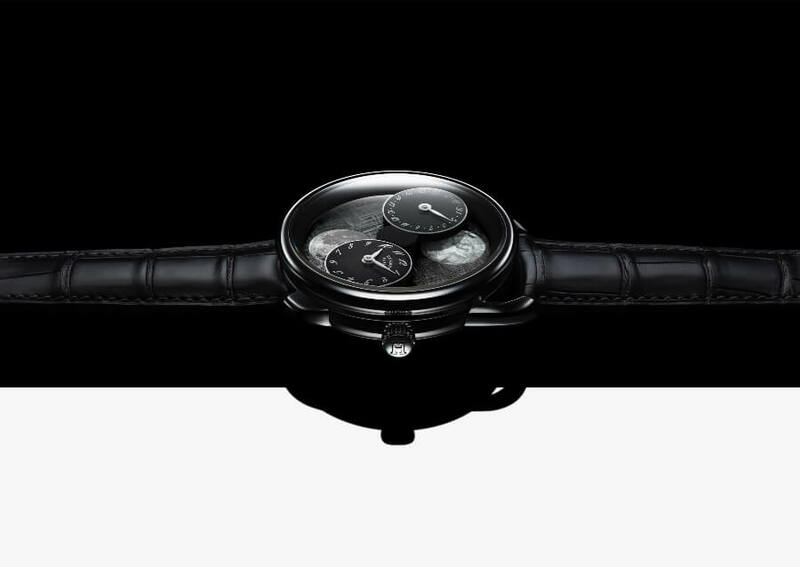 The result is a free-spirited and impertinent vision of mechanical watchmaking according to Hermès. 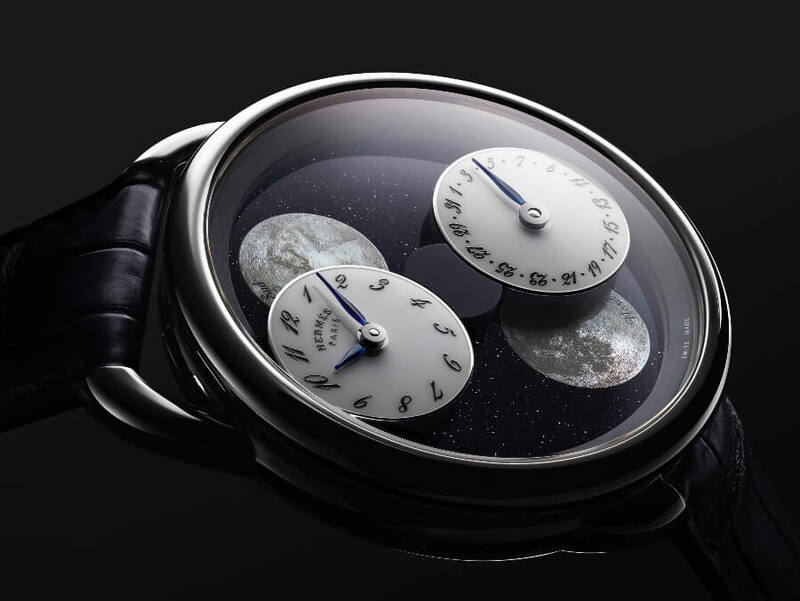 The Arceau case with its asymmetrical lugs, designed by Henri d’Origny in 1978, becomes a lunar crater made of meteorite stone or aventurine, while the lacquered dials, gravitating like satellites, display Arabic numerals with a distinctive sloping font. 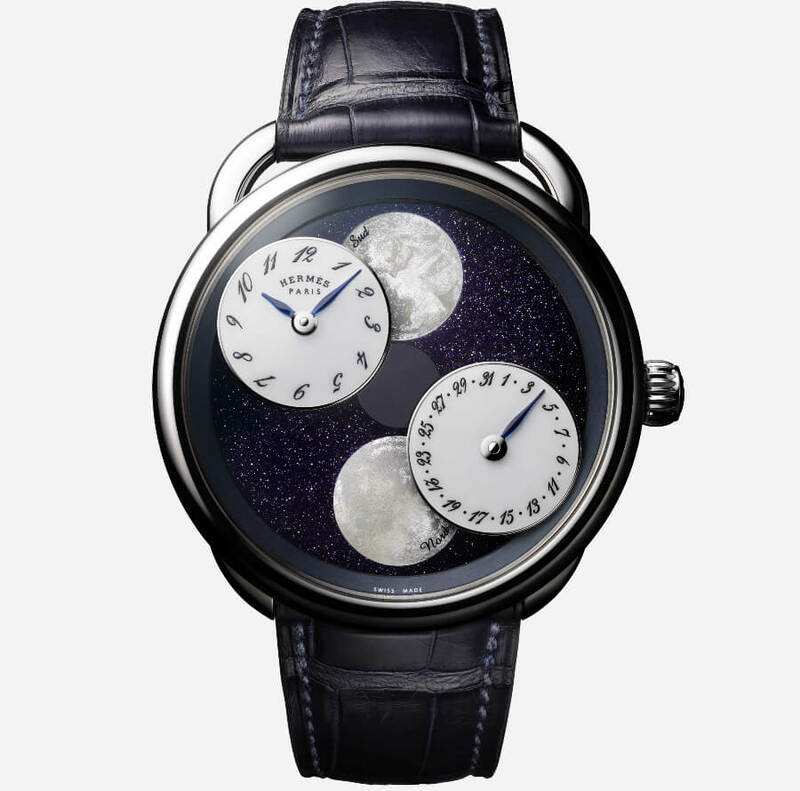 This Haute Horlogerie timepiece is issued in two 100-piece limited editions, and fitted with a matt alligator strap in graphite grey or abyss blue. 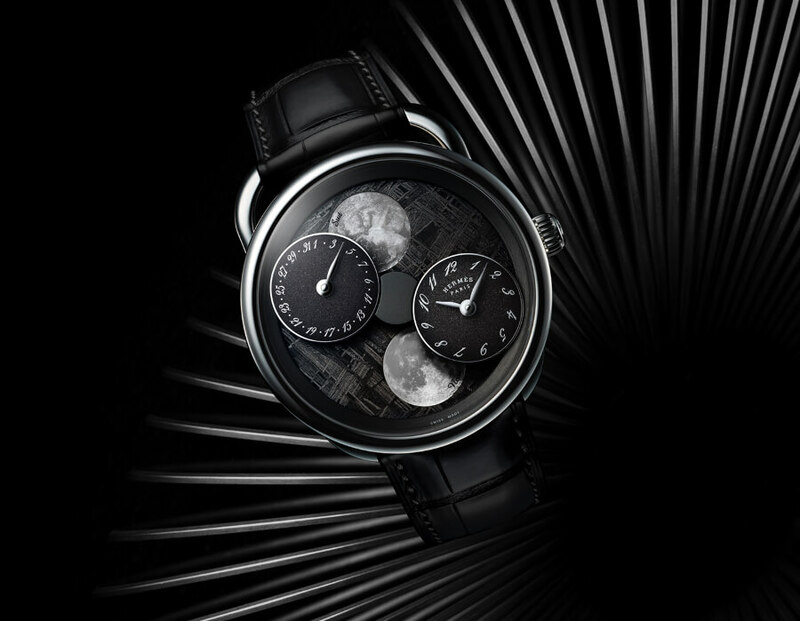 The price for the Hermes Arceau L’heure De La Lune is $25,500 and is limited edition to 100 pieces for each version.